JDBC driver for Apache Kafka - Pure Java Type 4/5 JDBC Driver for Apache Kafka with bi-directional access. Insert and load data stored in your Kafka topics with full support for Json and Avro payloads. Code-less integration with popular BI, Reporting, & ETL Tools. Lenses SQL DATE functions - The LSQL engine now supports functions to manipulate DATE fields. Multi-tenancy Support - Using white/black listing configuration settings, administrators can set the topics access for particular users/groups within Lenses. Quotas - You can now view and manage USER and CLIENT Kafka Quotas from the Lenses UI or REST APIs. New Prometheus API - Track your consumer lags, by adding Lenses in the target list of your Prometheus installation. New Lenses Helm Chart - The Lenses chart now supports services, ingress and RBAC in Kubernetes with improved configurations. New SQL Runner Helm Chart - The SQL runner chart now supports services, ingress, and improved configurations. LSQL Browsing improvements - Almost re-written to delivers a much-improved user experience and supports LSQL query management. 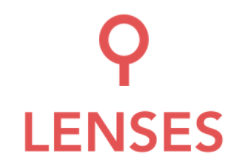 Lenses SQL engine now makes it possible to see the queries executing at any point in time and users with elevated permissions have the option to cancel them. New syntax allows the query boundaries (time, records and payload size) to be easily adjusted. Decouple the dependency on schema registry. Better resource utilization for live data (topics info, brokers info, etc). LSQL: browsing Avro data containing fields which are non-nullable union types is fixed now.